Inspired by mother nature herself,this stunning spider web design pendant is sure to add some sparkle to any outfit. 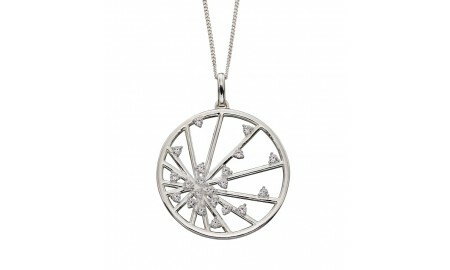 Featuring a total of 21 dazzling CZ's to represent dew drops,and a polished finish this pendant is suitable to wear for all occasions. Wear alone or team up with the matching earrings for a completely glamourous look. Comes complete with a silver chain.